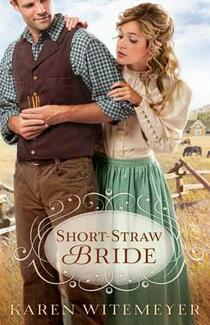 I discovered Karen Witemeyer last year with Head in the Clouds, after reading the rest of her books, I was eagerly awaiting her new release Short-Straw Bride. Upon finishing the book I would have to say it is my second favourite of her books, simply because the final page in To Win Her Heart had me crying - in the best way! The term 'no man is an island' can be used when thinking about this book. Instead of man, use 'no family is an island' or 'no land is an island'. The Archer boys held threats away as young teens when they were orphaned. Now though, they are strapping men lead by their consummate and capable eldest brother Travis, who still believes the world is out to get them. Travis must learn to move on from the past and embrace the people around him. In short he's got to step off his "island" and build some bridges to the outside world. So when Meredith Hays walks in to repay a debt she ends up being the one to teach Travis this through her words and actions. Meredith expected to repay a kindness done to but instead she finds herself in over her head in action and romance when she becomes the unexpected bride of Travis Archer - the man you helped her twelve years ago and the one man she has dreamed about ever since. Being married to Travis isn't all that Meredith expected, but she's willing to wait on God's timing and to give him a chance to work on her husband. Travis is smitten with Meredith but struggles to communicate his growing feelings in a way that she'll understand. It's comical at times watching these two dance around their feelings for each other. When Meredith goes to her only married friend for advice on how to court her husband I was giggling right along with the ladies. This is a lovely read, strong on character, humour and romance. 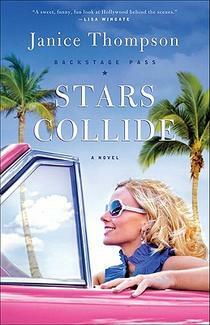 Ladies - I just won this book in a contest after hearing so much good stuff about it! I'm really excited to get on it but I have to wait until the weekend as I'm notorious for reading...and NOT DOING ANYTHING ELSE. AT. ALL. Ha. I know I'll love it, though. Great post! Congratulations Becky!! Enjoy the book! I enjoyed this book as well. It was a really fun read. I've only read one other book by Karen but would like to read her others.